The University of East London (UEL) is a global learning community with over 28,000 students from over 120 countries world-wide. Our vision is to achieve recognition, both nationally and internationally, as a successful and inclusive regional university proud of its diversity, committed to new modes of learning which focus on students to enhance their employability, and renowned for our contribution to social, cultural and economic development, especially through our research and scholarship. We have a strong track-record in widening participation and working with industry. 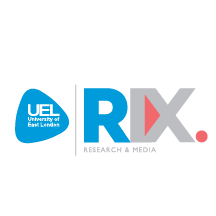 RIX Research and Media is a research and development centre based at the University of East London (UEL) that is dedicated to developing Web and Social Media and exploring new ways to work with these tools for the benefit of people with intellectual disabilities. The Centre co-develops software and best practice working approaches with people with disabilities, their teachers, families and supporters to explore innovative, inclusive approaches to learning, health and social care. We use a ‘Living Lab’ model, whereby prototype software and models of training and support are developed and piloted in collaboration with users in the community. The Centre works with local and national government organisations and ‘3rd Sector’ groups that vary in scale from international organisations such as Inclusion Europe, to small Specialist Schools in the UK and adult learning Centres in our local East London neighbourhood. RIX Research and Media can bring to the project the Multimedia Advocacy tools and methods that we have developed. These can both add to the range of educational tools that comprise the Kit the project intends to develop and trial, and be used to engage people with and without disability and autism as participant researchers and co-developers. Andy Minnion, RIX Research and Media director successfully lead on many national and international research projects and together with his team developed a range of products, services and publications.